Greg, I'm not certain the episode indicates Lester is completely correct. It would be nice if someone spoke up to say she wasn't, but her failing to meet the standards required for command does not mean that Starfleet wasn't taking female candidates. It seems as likely that she failed to get in, as all female applicants before her had, and blamed it on policy, when it could just as easily be explained by there only ever having been, what? Forty openings for the position in the fifteen years or so that starships have existed. Sexism would no doubt play a role in that result, but I don't know that means Starfleet ruled women out completely. Had Roddenberry not backed away from the show, he might have fixed Turnabout's apparent assertion that no women were allowed in the center seat with a script flourish and a short list of women who had held the position, but then again, at that point, the times, they were a-changing, but they hadn't changed entirely just yet. Perhaps he would have allowed it to stand. The writers associated with that episode seemed to think the idea could stand without being challenged, but they also knew it was the last episode as well. Why work that hard to fix something that was going to go away soon anyway? And yeah, Stone doesn't behave in best possible manner, but his conduct seems nonetheless in keeping with a branch of the military wishing to preserve its own reputation as well as that of one of its more accomplished officers. He suggests that a full court-martial need not occur, but Kirk would still have been grounded as a result and his career brought to a standstill, something of a fate worse than death for a young officer with the makings Kirk has. And everyone would know it was all over what he had done to Finney. Kirk, of course, would have none of that, but I don't think Stone or Starfleet would have found Stone's initial suggestion all that egregious as to remove him from command. We might wish that they would take that sort of offense, but I don't think the military behaves in such a high-minded, principled fashion at all times as to demand blood-for-blood from their captains or their commodores. Doesn't it make as much sense to just assume there are at least two individuals with the rank of Commodore stationed at Starbase 11? I vaguely recall Stone having oversight of the fleet and starship repairs while Mendez was in charge of "Starfleet Operations." Admittedly, it is late and I'm not looking any of this up at the moment. And hey, where was the real Mendez the whole time his illusion was hanging out with Kirk? That trial looked as if it took a couple of days. Where was he that whole time? Was he screaming back at Kirk's logs of the events as they came in, "That's not me, you idiot! I'm not at the damned trial! You took off in the shuttlecraft without me!" Was he shouting at his assistant to try to contact the Enterprise and call off the trial or get Kirk to explain the deliberate lies about him in his log? Regarding Decker, I actually believe he was an excellent Captain right up to the destruction of his ship. He is shown to have a flaw or two afterwards, however. And Wesley pisses me off. He's smug and dismissive of Kirk's captaincy throughout the war games, chalking the Enterprise's successes to Daystrom and his marvelous computer, but the moment things go wrong, he's demanding to know what Kirk thinks he's doing. Oh, sure, Bob. NOW Kirk is in command. Before, everything was the work of the M-5. Whatever, pal. I dunno. I kinda wonder if that isn’t a case of Roddenberry backpedaling himself out of a bad writing decision. The episode itself has Lester saying “Your world of starship Captains doesn’t admit women. It isn’t fair.”, and Kirk replying, “No, it isn’t. And you tortured and punished me because of it.” Kirk’s reply affirms her statement. He doesn’t correct her by saying that she was unqualified or that the demands of the service require a certain type of person, regardless of gender. He reinforces her idea that the world of starship Captains doesn’t admit women, period. Whether or not that was Roddenberry’s intent when he wrote the story, the finished episode still gives that negative impression. That was the reading I came away with upon my first viewing, many years ago. Just wish I could remember when and where Roddenberry admitted that the episode was flat-out sexist, in direct opposition to the above quote from him (which comes from GENE RODDENBERY: THE LAST CONVERSATION, published a few years after his death). Mind you, I’m not seriously suggesting that Stone should have been booted from his post for making the suggestion. Just that it’s an interesting and realistic shade of gray which gives the character a bit of depth. That moment feels very real and very human, to me. I also really like ebb and flow of the Stone/Kirk scenes in that episode, which range from friendly casualness to a near-shouting match. There’s clearly a bit of history between the two, even if they’re not friends, per se. And, when push comes to shove, Stone is willing to suggest a sort-of cover-up, NOT because he believes Kirk’s story, or is looking to spare Kirk from a court martial, but because he cares about the image of the service, and how Kirk’s disgrace would tarnish it. It’s an interesting character bit. As I’ve noted before, it is also important to remember that WNMHGB was a pilot, and as such used dialog to fill in details and backstory. When Dehner refers to Kirk’s first command and how long Spock and Mitchell have served together, there is NO REASON to assume she’s talking about a different ship. That dialog is there to inform the viewer, not raise questions. Agreed, but I still find myself wondering just where the idea in TMOST came from, and whether it was floating around in Roddenberry’s head, early on. There’s really no way to know, and so we can only work with what we’ve been given. It could well be that someone (Stephen Whitfield, maybe) watched WNMHGB, heard the line, and came away with the wrong idea. It’s similar to the much more prominent backstory involving McCoy and his daughter. It was in the writers’ guide and in everyone’s minds during the making of the series, but it never made it to air, and therefore is not canon. Unless you count that one reference to her in TAS. As noted, there’s no reason to assume a complicated backstory for the characters. Those who say Spock zip-zapped around the fleet so he could have served with Kirk for years prior to Kirk commanding the Enterprise are overcomplicating things. Makes much more sense that Spock came aboard during Pike’s time, then stayed aboard for many years until Kirk came along. Fact of the matter is that they weren’t worried about complex backstories and a tight chronology, in those days. The show was very much focused on the here-and-now of the storytelling, even to the point of notable episode-to-episode discontinuity (because they were making it all up as they went). We know remarkably little about the characters’ backstories, despite getting to know the characters themselves very well. Only Spock was fleshed out in any significant way, in terms of his past and his family, with Kirk a distant second. I'm still reading that conversation between Kirk and Lester as ambiguous. Kirk backs her up, I'll agree, but doesn't say it's policy. At that point, he could still be saying that "world of starship captains" is only twelve vessels big, and yes, a woman is apparently unlikely to be considered for any of those positions since none has made it yet. What is made clear, however, is that Lester isn't qualified and wouldn't have made it even if Starfleet only admitted female applicants. However you want to read it, it still doesn't take away from the fact that Number One was in command throughout most of "The Cage" and "The Menagerie." It makes no sense to think that Starfleet would put the glass ceiling right in-between the ranks of First Officer and Captain. She's not just an ambitious up-and-comer. For the duration of Pike's stay on Talos, she was the acting Captain of the Enterprise. Clearly, there were no prohibitions against her being so. "Turnabout Intruder" is simply a bad episode at odds with the rest of the show's history. Wesley's "poking fun" earlier in the episode was done humorlessly and his later exclamation attributing M-5's attack to Kirk wasn't meant to be funny at all. Somehow, he thinks Kirk is firing live phasers during a war game. He clearly doesn't like Kirk and is more than willing to be an assh*le about it. Yeah, they "get along," but Wesley's nevertheless a jerk. That doesn't make him a bad captain, but again, it's a flaw. Yeah, that part is most definitely unambiguous! I think it comes down to Wesley (and probably a lot of other people along the way) having blind faith in Daystrom’s reputation, and taking the wargame exercise much less seriously than he should. He and Kirk are clearly friends, but he obviously doesn’t get just how much his ribbing (particularly “Captain Dunsel”) bothers Kirk. And why would he? Kirk takes pains to maintain the illusion of infallibility for his crew, and that would likely also extend to his superiors, even the ones he’s friendly with. It’s not like Kirk would have casually told Wesley how he broke down and confronted the nature of his lonely relationship with the Enterprise while under the influence of the Psi-2000 virus. Nor does Wesley immediately think that the M-5 is responsible when the Enterprise attacks with full-powered phasers. Putting blind faith in technology (and the man behind that technology)—to the point of removing human morality and intuition from a dangerous job like starship command—is a theme of the episode. So, Wesley’s first instinct is to think that the attack is due to human error, rather than a crazed computer possessing the mental patterns of an embittered scientist. 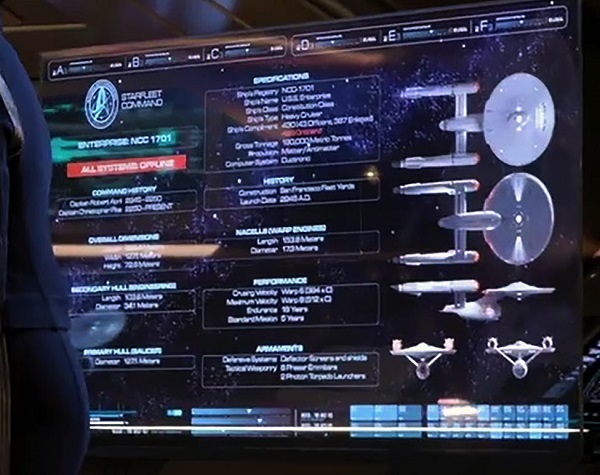 And, as Kirk notes, Wesley eventually does correctly assess the situation, and takes a gamble that something has gone wrong with the computer instead of Kirk by withholding fire on the unshielded Enterprise. I don’t see it as Wesley not liking Kirk, but rather his simply not understanding the depth of Kirk’s feelings about being a starship Captain, and viewing the wargames as a ho-hum assignment. VERY distant! Jar Jar Abrams built his 2009 “alternate reality” on the premise that interference with the timeline caused Kirk’s father to die “prematurely”, yet in all the TOS episodes and movies, Kirk mentioned his father not so much as once. We even had a reference to a crewman’s father helping Kirk get into the Academy. Kirk’s parents are conspicuous by their absence. If the TOS writing staff felt that Kirk’s backstory/childhood/family life were vital in shaping his character, then they would have done something with it. Instead, we just saw a parade of old girlfriends and acquaintances, and got a few references to Kirk being a bookworm at the Academy. That’s it. Spock’s childhood and backstory, on the other hand, proved to be the foundation of the character. A mixed-race child trying to find his place in the universe, and having a major falling-out with his father by choosing a life path which worked for him (to be more-Vulcan-than-Vulcan, but doing it in Starfleet, rather than the Vulcan Science Academy). The problem with the Lester thing is, even if she was just blaming her gender for her own individual inadequacies, for her to do that, the world in which she lived had to be one in which that occurred to her and was reasonable. If I got passed over for a job, I wouldn't walk away saying, "They did that because I'm tall! Tall people are so discriminated against!" Because that's not a reasonable inference. So Lester making that argument, valid or not, implies a universe in which there is still discrimination based on gender. Which is what would constitute the screwup. Good point, but remember that Kirk knew Lester well, having been involved with her for over a year, and he describes her as hating her own womanhood, making it impossible to live with her. Whether gender-based discrimination exists in Star Trek's future or not, and I'm willing to believe that it does, gender itself does and the psychological accompaniments to it will still be in play as well. Lester was self-hating, centering her anger and self-disgust around her gender, and that condition likely did not begin the moment she opened a rejection letter from Starfleet. She remains an unreliable narrator of what is taking place in the world around her. Roddenberry clearly wanted to do an episode based on gender discrimination, but the set-up he employed was a poor one. Psychotic murderers make poor spokespeople for the under-represented; see also "Basic Instinct," et al. On an unrelated issue concerning that episode, Spock had been portrayed by a small number of different actors over the years prior to the 2009 reboot, usually at different ages. Am I correct, though, that prior to the reboot, Sandra Smith was the only other actor to play Kirk? STAR TREK was set in the Future, but it wasn't written in the Future. Lots of Sixties sensibilites (or lack thereof) slip thru. I've noted before the incredibly racist "banter" directed at Spock A symptom of the time. Roddenberry might have wanted to place woman in prominent positions, to reflect his vision of tomorrow, but he kept them limited. Number One, second in command on Pike's ship, for instance, was only a lieutenant. And that’s not even getting into Roddenberry’s personal thoughts on—and behavior with—women, both on and off the set. As progressive as TOS could be, it was a product of its time, and its creator was pretty skeezy, at times. Discovery is weighing in on this, at least in the set dressing, in season 2. ...not that I give flying ****. Looks like they directly copied the specs from any number of fan blueprints/manuals and/or wikis, which themselves took much of their info from TMOST and the Franz Joseph materials. Of course, the dimensions on the graphic are pulled directly from Joseph’s plans (presented in metric, unlike Jefferies’ blueprint), which directly contradicts the fact that the STDprise was designed as much larger than the TOS version. What a shocker. I suppose it should also be noted that the Abramsprise was launched in 2258, and was in service for a mere six years before being destroyed and replaced with “-A”. Pretty clear timeline on that one, eh? I HATE WHEN THEY USE REAL DATES!! ...and then Abrams went and turned Stardates into the calendar year, but with a decimal at the end. Sigh. Took me a long time to start buying a STAR TREK calendar every year, exactly because they were doing that. Speaking of calendar issues, I just ordered the TOS 2019 calendar, and see that they missed an easy opportunity to have the White Rabbit from “Shore Leave” represent the Easter Bunny. That image is presented for the month of July instead of April. D’oh!